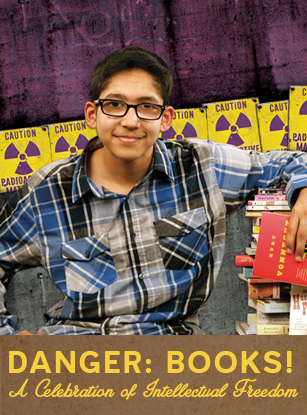 Danger: Books! is an ongoing series of readings from books that have been banned or challenged in the United States. The list of banned and challenged books continues to grow, so each year we offer a new selection of controversial readings. 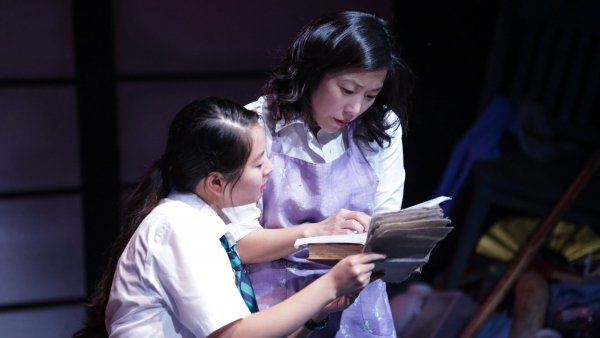 Past programs have included excerpts from Slaughterhouse-Five, Beloved, Adventures of Huckleberry Finn, Geography Club, Baby Be-bop, Fallen Angels, And Tango Makes Three, and Alice on the Outside. Professional actors perform selections in the Book-It Style, then facilitate a discussion on censorship and the First Amendment.